The drums were beating, the lights were dimmed, hearts were opening and joy was in the air. I closed my eyes and felt the skin of my drum; it was pulsating, physically moving to the heart beat of the circle, connected to every person there, to every hand, every heart. Everyone was engaging and involved whether listening, drumming, dancing or sitting quietly, everyone was giving and receiving in harmony, connected, ONE. Then it happened! Joy rushed through me like lightening. It was electric; goosebumps raised every hair on my body and I was taken back to the feeling I had at my first drum circle so many years ago. That feeling was one of hope, fearlessness, connection and pure unadulterated JOY! This experience was a reminder that the drum circle is a place where I can go when I am sad, lonely or world-weary. It is a place where I can go to have an actual in-the-body experience of hope for our seemingly falling down world; a place where I can let go of my own fear, worry and doubt for a while and just let the rhythm of those gathered hold me. Circles of Rhythm drum circles are like flu shots providing an immune boost for hopeful thinking while counterbalancing the negativity in the news and media. Over time the drum circle has helped me come to know deep down that the purpose of life is to live fully, to embrace it all, the good and the not so good, getting help and support when I need it, offering it when needed by others and truly enjoying the beauty of this earth and good times as they present themselves as well. So, let heaven come through you in 2019. Stop trying so hard to feel good. It’s easy in a drum circle, you just have to show up as often as possible and get dose after dose of good medicine. You will begin to know that goodness and harmony are not only possible but right here in front of you, pulsating through you wanting to be heard and acknowledged. Joy is awaiting you in the drum circle, come get your flu shot, of joy regularly. 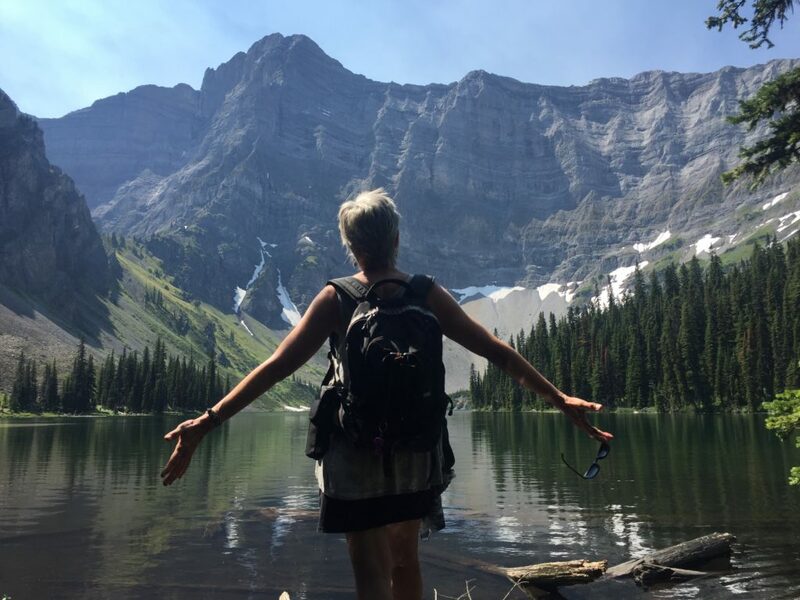 Judy Atkinson continues to support the growth and development of Circles of Rhythm from afar while she travels – and – as a board member of the Circles of Rhythm Foundation. Thank you Judy for your ongoing support, wisdom, and strength over the years. 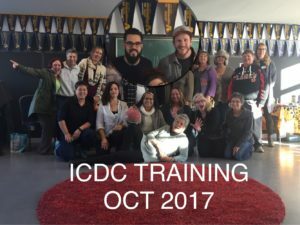 CIRCLES of RHYTHM is proud to partner with Pillar Stables Equine Assisted Learning Center to offer a condensed version of our ICDC training program. Please contact us at info@circlesofrhythm.com to register for this workshop or to inquire about upcoming workshops! 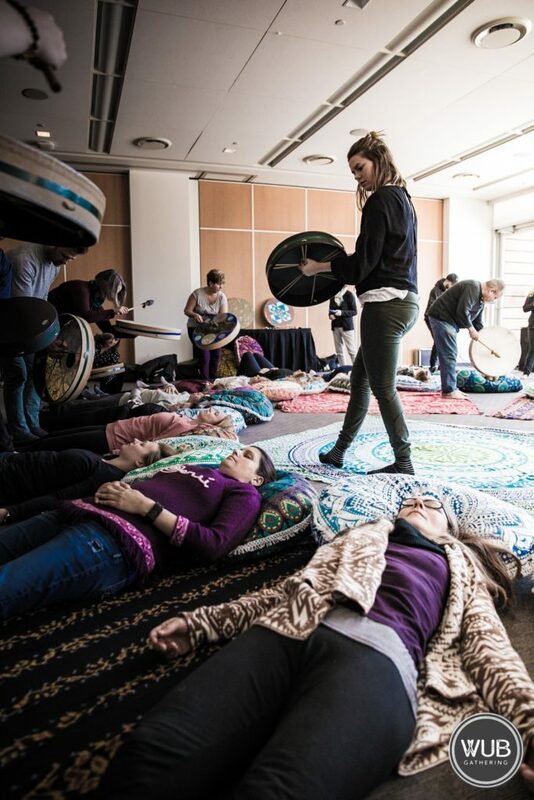 What is Integrative Drum Circle Training? This training is based on a practical easy-to-learn protocol. It will enable you to step into a drum circle and lead your own drum group. 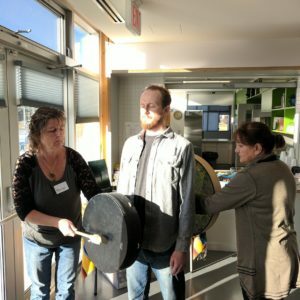 The program teaches community building and therapeutic skills, as well as in-depth healing techniques using frame drums from various parts of the world, including our very own First Nations people. 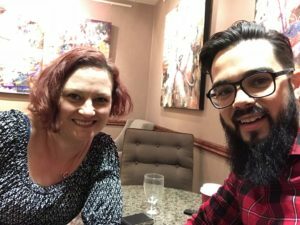 This integrative approach uses multicultural drums and a balanced approach, helping you to grow exponentially BOTH as a facilitator and as a human being. 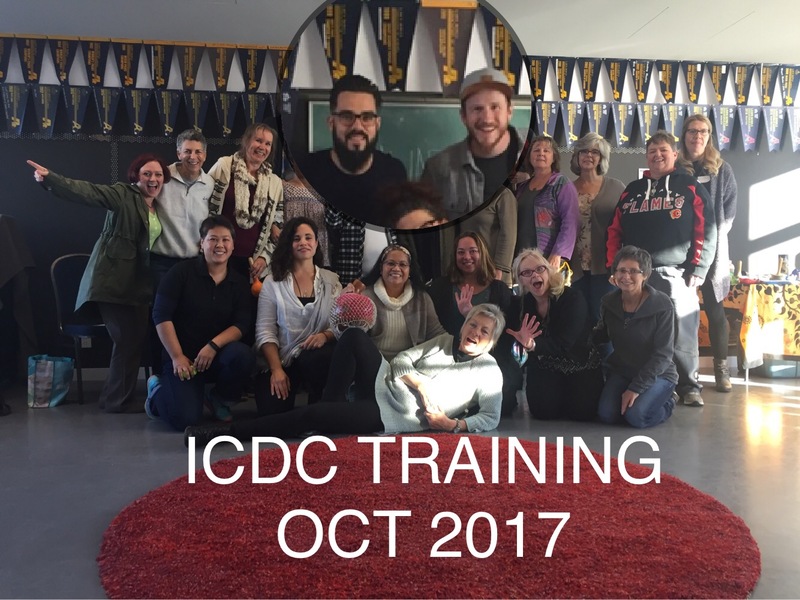 The instructors are Master Integrated Community Drum Circle (ICDC) Facilitators, Julien Lepage, and Jamie Gore. Together, they will empower you to assist people on their healing journeys, physically, mentally, emotionally and spiritually, while building meaningful community. 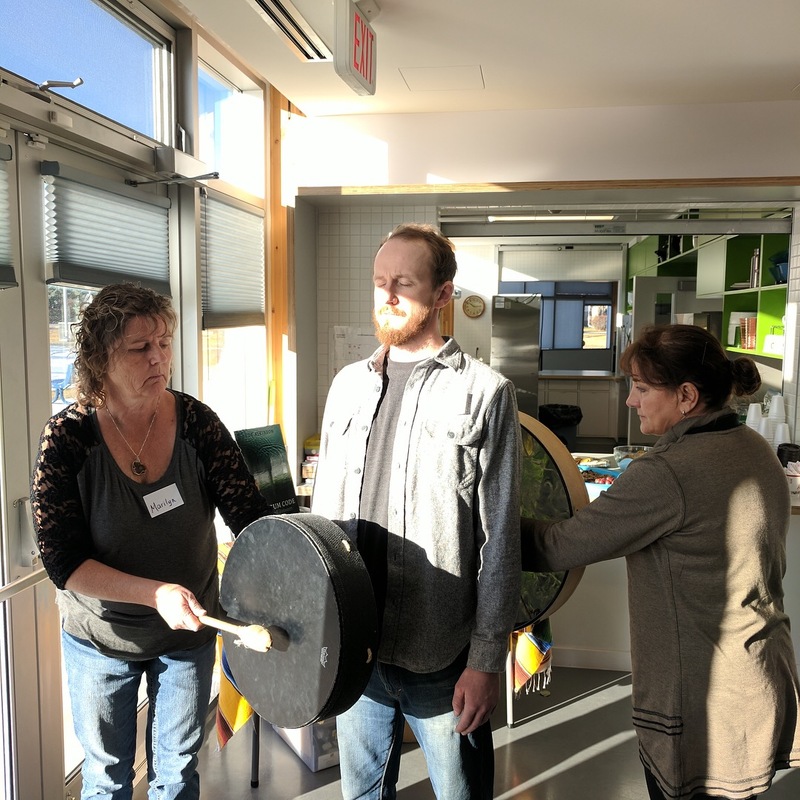 Participants will leave the training feeling ready and capable of becoming a Lead Facilitator or Co-Facilitator of their own Integrated Community Drum Circle. You will also feel comfortable applying the Healing Techniques of the “Drum Wash” and “Rhythm Cradle” within your own healing/helping practice. 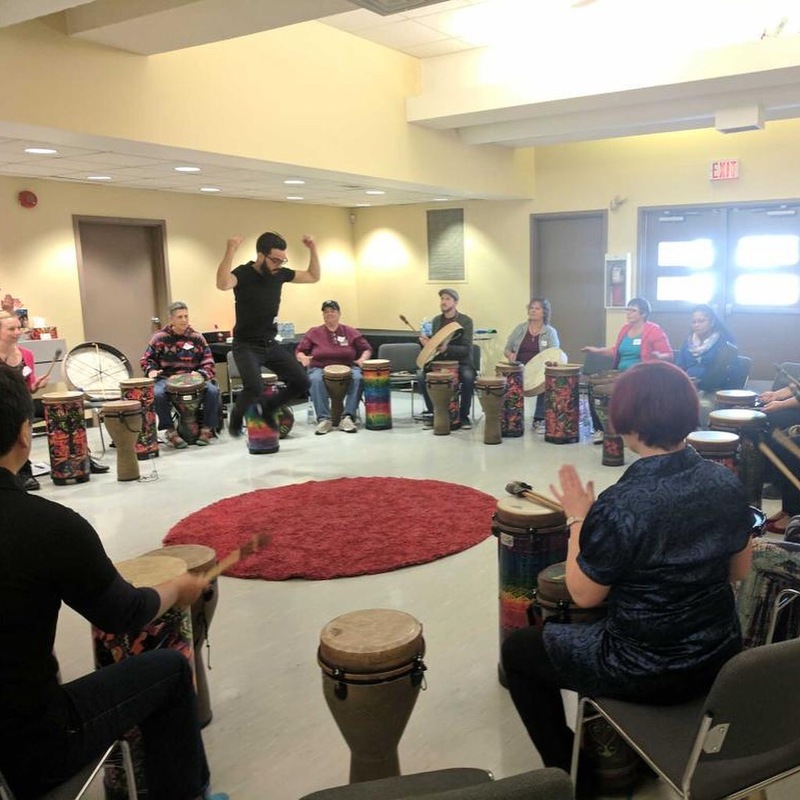 The included mentorship program will offer participants a chance to receive support after a few months of practice as an Integrated Community Drum Circle Facilitator! Basic drumming and Rhythm Making Skills you can apply IMMEDIATELY! How to Build Meaningful Community. How to effectively weave in appropriate Meaningful Messages and Metaphors. How to Activate Emotional, Physical and Mental Healing. Effective Strategies to improve symptoms of Depression and Anxiety. Ancient vibrational healing techniques for modern times. The health benefits of drumming have been scientifically investigated and published in multiple scientific and professional journals. It was shown that drumming helps to reduce adverse effects of several medical conditions such as Stress, Depression, Cancer, Alzheimer’s, Parkinson’s and Stroke. With over 16 years of experience, Circles of Rhythm is the only full time specialized integrative drum circle facilitator training business and the only Gentle Drum Healing Training in Canada. 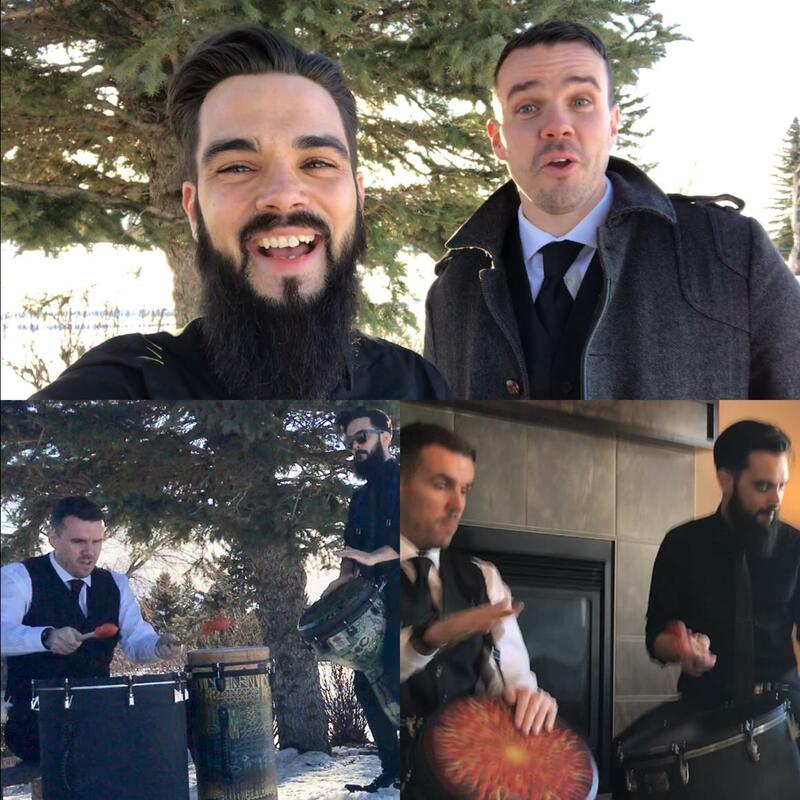 Two Professional Facilitators ready to help you feel confident leading drum circles and the healing techniques of the gentle drumming protocol. 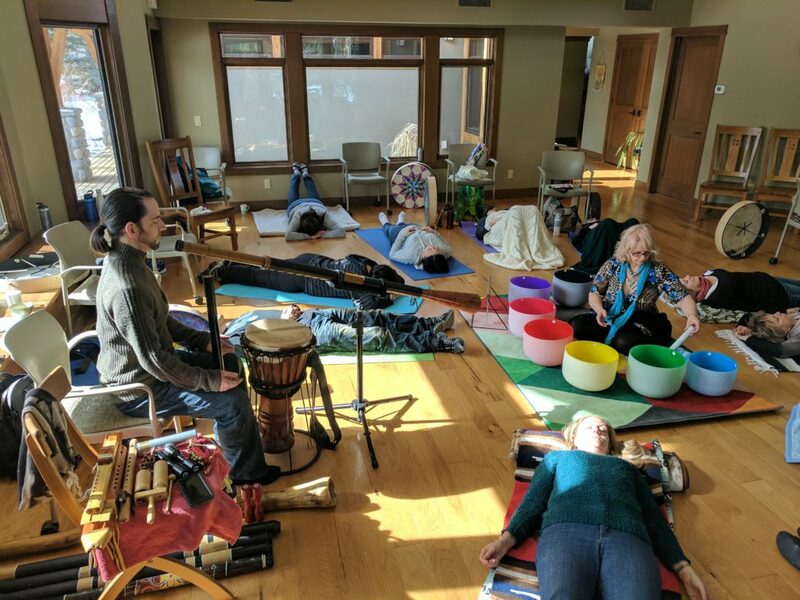 Two full days of practice and instruction of the Integrative Community Drum Circle Experience & Gentle Healing Techniques. Overview of Integrative Community Drum Circle Experience, theory and research supporting the use of drumming as a therapeutic tool. 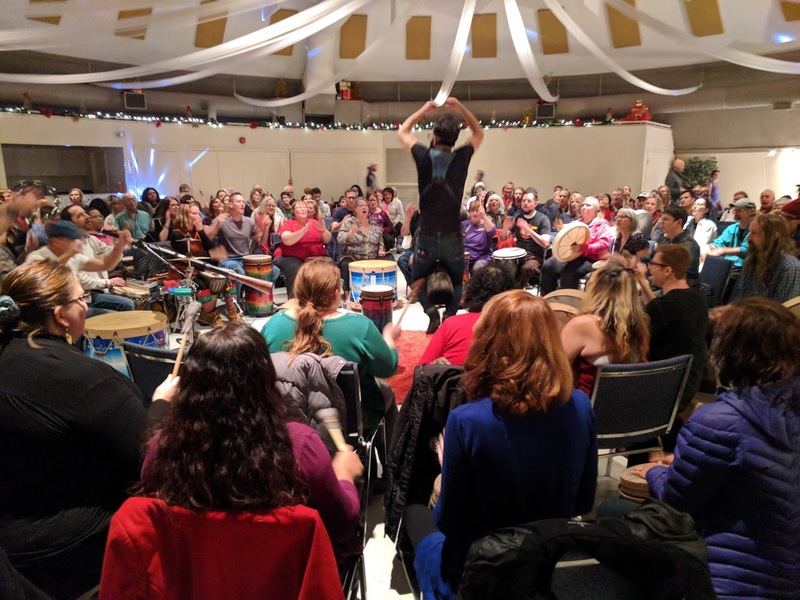 EXPERIENCE a Professionally facilitated evening Integrated Community Drum Circle Experience where participants & the surrounding community is invited to participate in! Mentorship Program available for one-year post training and Coaching sessions and Private Facebook Facilitator page. 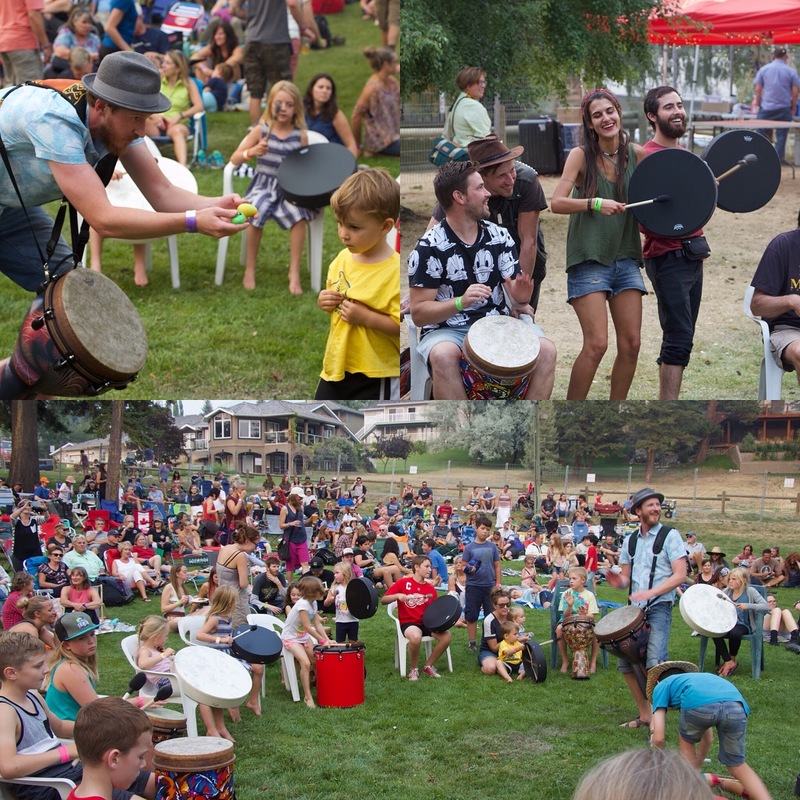 Support developing a customized drum circle format that includes drumming with horses. Support building are recommended “drumkit” to accommodate various group sizes and various levels of ability. Women’s Shelters, Boys and Girls’ clubs, Youth Addictions Services, Private events for friends and families, Kids Camps, Funerals and Memorial Services, Eating Disorder Groups, Hospices, AA and AL-ANON meeting, Addictions Recovery Centers, Penitentiaries, Seniors Centers. Ever wondered what a “prescription” for joy would look like? Here are some non-pharmacological factors that have a direct impact on our overall sense of Joy and Happiness! -Recreational Activities – Activate your inner child! 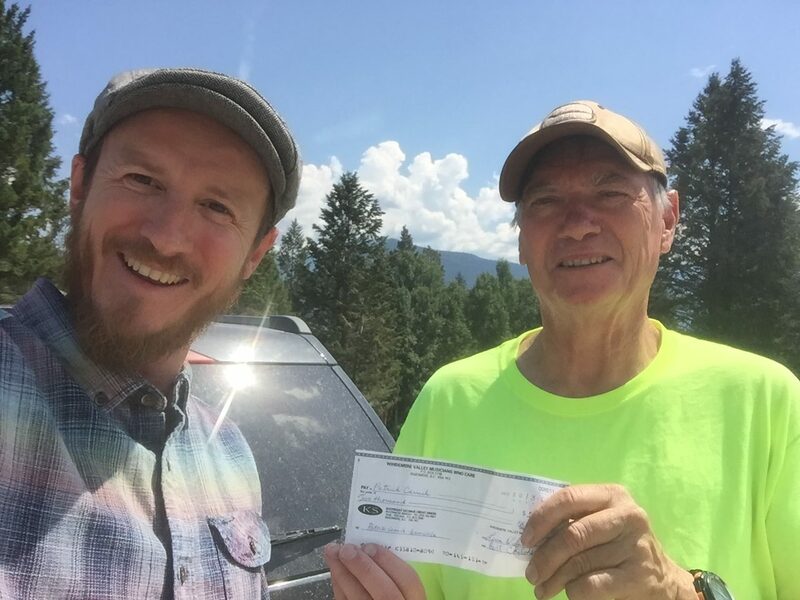 -Be of Service to others – Find ways to contribute! The Integrated Community Drum Circle was conceptualized as a means to encompass as many of these key areas as possible! We recommend attending a community drum circle REGULARLY to achieve & MAINTAIN a state of overall joy & hope for what the future holds. 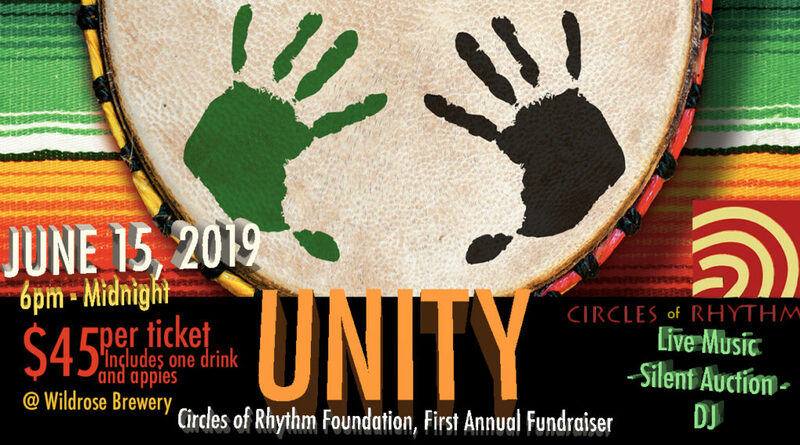 Circles of Rhythm believes that EVERYONE can benefit from attending a weekly Drum Circle. This is why we are introducing our 10 Circle Card Passes available for purchase this Friday @ our Friday Night Drum Circle!! as a means to help incorporate regular drumming into your lifestyle & wellness toolbox! Happy New Year from Circles of Rhythm! The first Friday Night Drum Circle of 2018 is almost HERE! We’re anticipating a great year in 2018 with all of you! Stay tuned for lots of surprises and community building opportunities for your and your loved ones!